Tata Mutual Fund has declared dividend under the dividend option of Tata Dividend Yield Fund. The record date for the dividend distribution is set as July 3, 2009. The quantum of dividend will be Rs 15% i.e. Rs 1.50 per unit on face value of Rs 10 per unit. The NAV of the scheme was at Rs 15.6855 per unit as on June 25, 2009. Tata Dividend Yield Fund is an open-ended equity scheme, with an investment objective to provide income distribution and /or medium to long term capital gains by investing predominantly in high dividend yield stocks. New Delhi: Adani Power Ltd (APL) is planning to launch its initial public offering (IPO) on July 21 at a price of Rs 130 per share. As per the sources, APL is aiming to garner more than Rs 2200 crore through the IPO. 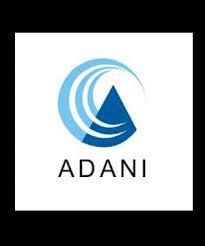 Adani Power has submitted its draft red herring prospective with the SEBI and APL is expected to get the nod soon. Adani Power is setting up its largest power plant of 4620 MW of capacity in Mundra with an investment of over Rs 20,000 crore. The project is expected to be completed by March 2012.The fund raised will be utilised for the development of Mundra project and the Tiroda power plant in Maharashtra, resulting in power generation of 6500 MW. The total capex is estimated at Rs 28,369 crore. Currently, Adani Group holds stake of over 85 per cent in Adani Power and after the public issue the promoter stake will be reduced to 73 per cent. 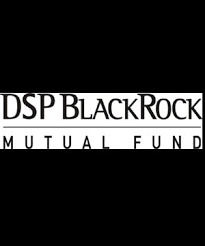 DSP BlackRock Mutual Fund has filed offer document with Securities and Exchange Board of India (Sebi) to launch an open-ended equity diversified scheme - DSP BlackRock Enhanced Equity Fund. The face value of the new issue will be Rs 10 per unit. The scheme offers two plans - regular as well as institutional plan with growth and dividend option. Further, the dividend option offers dividend payout as well as dividend reinvest facility. The primary investment objective of the scheme is to seek capital appreciation by investing in equity and equity related securities of companies listed in stock exchanges in India. 1. The Board recommended a dividend of 10% i.e. Re 1/- per equity share having face value of Rs 10/- each. 2. Subject to members approval, the Board also approved utilization of Securities Premium Account to meet Deferred Tax Liability required to be provided in terms of Accounting Standard AS-22 issued by ICAI. 3. The Board has also decided to seek an enabling approval from the members of the Company for raising of long term resources through issue of equity shares and/or securities convertible into equity shares to Qualified Institutional Buyers (QIB) in one or more tranches through a Qualified Institutional Placement (QIP) and/or issue of Foreign Currency Convertible Bonds (FCCBs)/Global Depository Receipt (GDR)/American Depository Receipt (ADR)/Warrants and/ or instruments convertible into Equity Shares, optionally or otherwise, in one or more tranches. Kotak Mutual Fund has declared dividend under dividend option of Kotak Fixed Maturity Plan 12M Series 7. The record date for the dividend is set as July 2, 2009. The fund has decided to distribute 100% of distributable surplus as dividend available as on the record date on the face value of Rs 10. The scheme recorded NAV of Rs 10.4354 per unit under retail plan while Rs 10.325 per unit for institutional plan as on June 25, 2009. Kotak Fixed Maturity Plan 12M Series 7 is a close ended debt scheme. The investment objective of the scheme is to generate returns through investments in debt as well as money market instruments with a view to significantly reduce the interest rate risk. Gujarat NRE Coke Ltd has informed that the Committee of the Board of Directors of the Company at its meeting held on June 26, 2009, has issued and allotted 45,02,016 Equity Shares of Rs. 10/- each at a premium of Rs 34.64 per share pursuant to Conversion Notice(s) received from the holder(s) of FCCBs for conversion of FCCBs of USD 45,00,000. 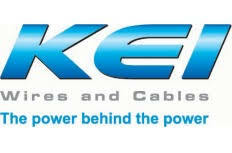 Consequently, the Paid-up Capital of the Company has increased from 47,24,19,762 Equity Shares of Rs. 10/- each to 47,69,21,778 Equity Shares of Rs. 10/- each. 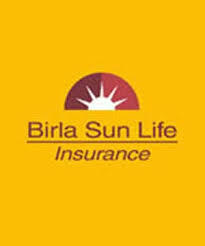 Birla Sun Life Mutual Fund has announced 3 July 2009 as the record date for declaration of dividend under the dividend option of retail plan of Birla Sun Life Fixed Term Plan-Series AY. The fund house has decided to distribute 100% distributable surplus as on the record date as dividend on the face value of Rs 10 per unit. The scheme recorded NAV of Rs 10.9197 (retail plan) as on 25 June 2009. Birla Sun Life Fixed Term Plan-Series AY is a close ended income scheme. The scheme seeks to generate current income by investing in a portfolio of fixed income securities maturing normally in line with the duration of the scheme. The markets opened higher today but suddenly turned volatile. The buying interest is seen among the Realty, Consumer Durables, Oil & Gas, Metal and Banking stocks. However, IT and FMCG stocks are witnessing some selling pressure in the early trade. The broader market indices are however attracting significant buying attention in the opening trade and have outperformed the benchmark index as both the BSE Mid Cap and he Small Cap index are now trading with a gain of around 1% each. 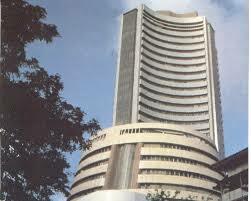 The BSE Sensex is now trading below the 14750 mark while the NSE Nifty below the 4370 mark. The BSE Sensex is trading up by 29.23 points at 14,735.41 and the NSE Nifty is trading lower by 9.30 points or (0.21%) at 4,366.20. The BSE Mid Cap increased by 48.16 points or (0.93%) to 5,219.06 and the BSE Small Cap grew by 60.30 points or (1.04%) to 5,861.05. Indiabulls Securities Ltd has informed that the Board of Directors of the Company at its meeting held on June 25, 2009, inter alia, has recommended a dividend of Rs 2 per Equity shares (face value of Rs 2 per Equity Shares) for the financial year ended March 31, 2009, subject to approval of shareholders at the ensuing Annual General Meeting of the Company. The principal amount of the Bonds outstanding after this repurchase and cancellation is USD 16.60 Million. Reliance Mutual Fund has declared dividend under dividend option of Reliance Interval Fund – Quarterly Interval Fund -Series I. The record date for the dividend is 2 July 2009. The fund house has decided to offer dividend on the face value of Rs 10 per unit for both plans viz. retail and institutional plans. The quantum of dividend will be 100% of distributable surplus as on the record date. The NAV for the scheme under retail plan was Rs 10.1490 per unit and under institutional plan was Rs 10.1532 per unit as on 25 June 2009. Reliance Interval Fund – Quarterly Interval Fund is a debt oriented interval scheme with an investment objective to seek to generate regular returns and growth of capital by investing in a diversified portfolio of Central and state government securities and other fixed income/ debt securities normally maturing in line with the time profile of the plan with the objective of limiting interest rate volatility. Zee Entertainment Enterprises Ltd has announced the following Audited results year ended March 31, 2009: The results for the Year ended March 31, 2009. The Company has posted a net profit after tax of Rs 3097.40 million for the year ended March 31, 2009 as compared to Rs 2951.20 million for the year ended March 31, 2008. Total Income has increased from Rs 11439.20 million for the year ended March 31, 2008 to Rs 13153.30 million for the year ended March 31, 2009. The Consolidated results are as follows: The consolidated results for the Year ended March 31, 2009.The Group has posted a net profit after tax of Rs 5221.10 million for the year ended March 31, 2009 as compared to Rs 4160.60 million for the year ended March 31, 2008. Total Income has increased from Rs 19491.80 million for the year ended March 31, 2008 to Rs 23345.30 million for the year ended March 31, 2009. IDFC Mutual Fund has declared the dividend under quarterly dividend option of IDFC All Seasons Bond Fund A - Regular Plan as well as IDFC Dynamic Bond Fund - Plan A - Regular Plan, IDFC Money Manager Fund - Investment Plan (A) and IDFC Super Saver Income Fund - Investment Plan (A) - Regular Plan and under dividend plan of IDFC Super Saver Income Fund - Investment Plan (B) and of IDFC Super Saver Income Fund - Investment Plan (C). The record date for the dividend distribution is set as June 30, 2009. The fund house has decided to distribute the following amount of dividend on the record date on face value of Rs 10 per unit. The scheme will offer dividend of Rs 0.30 per unit as on record date. The NAV of the scheme was recorded at Rs 11.2103 per unit as on June 23, 2009. The scheme will offer dividend of Rs 0.51 per unit as on record date. The NAV of the scheme was recorded at Rs 11.0179 per unit as on June 23, 2009. The scheme will offer dividend of Rs 0.14 per unit as on record date. The NAV of the scheme was recorded at Rs 10.2861 per unit as on June 23, 2009. The scheme will offer dividend of Rs 0.45 per unit as on record date. 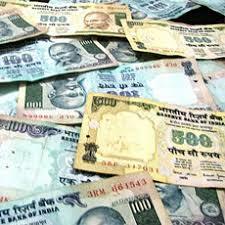 The NAV of the scheme was recorded at Rs 10.8483 per unit as on June 23, 2009. AEGON Religare Life Insurance is planning to infuse Rs 230 crore in the current fiscal. However, about Rs 50 crore was already infused in April 2009. Moreover, the insurer is also planning to enroll 10,000 agents as well as over 250 frontline sales staff during this period. The company, which began operations in July 2008 has managed to attract customers over 23,000 customers in the first nine months of its operation and an APE of over Rs 46 crore. Out of this, 75 per cent came from unit linked plans while the rest from the term plans. Rupee rose on Friday as local shares are expected to gain slightly with the weakness of the dollar against major currencies also underpinning sentiment.Rupee was at 48.53/54 per dollar, compared with Thursday's close of 48.595/605. On Tuesday, it had hit 48.90, its lowest since mid-May. Fortis Mutual Fund has declared dividend under the Quarterly dividend option of Fortis Monthly Income Plan - Regular Plan as well as Fortis Short Term Income Fund - Regular Plan. The record date for the dividend distribution will be June 30, 2009. Fortis Monthly Income Plan - Regular Plan. The quantum of the dividend will be 100% of the available distributable surplus as on record date on the face value of Rs 10 per unit. 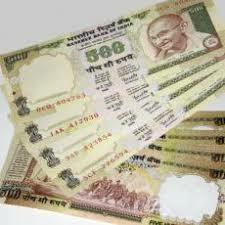 The NAV of the scheme was at Rs 10.5023 per unit as on June 23, 2009. 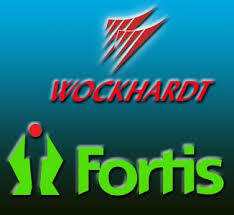 Fortis Short Term Income Fund - Regular Plan.The quantum of the dividend will be 100% of the available distributable surplus as on record date on the face value of Rs 10 per unit. The NAV of the scheme was at Rs 10.1594 per unit as on June 23, 2009. Mumbai: The initial public offer (IPO) of Mahindra Holidays & Resorts got subscribed 40 per cent on the second day of its issue with most of the bids coming in form of institutional investors. 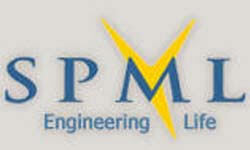 The company has come out with an IPO of more than 92.65 lakh shares and the issue would close on June 26. The issue received bids for 37.21 lakh shares, which is representing 0.40 times of the shares on offer, as per data available with the National According to NSE data. Qualified institutional buyers, comprising foreign institutional investors (FIIs) and mutual funds, subscribed 63 per cent of the 55.59 lakh shares reserved for them, the NSE data shows. The issue received 1.85 lakh bids (0.06 times) from the retail institutional investors, for which the company has reserved 27.79 lakh shares. The markets today opened higher with significant gains on the first day of the July series led by overnight gains in the US markets and sharp rally in the Asian markets. The buying interest is seen among the Realty, Capital Goods, Consumer Durables, Metal and Banking stocks. The broader market indices are also trading higher with both the BSE Mid Cap and he Small Cap index are now trading with a gain of more than 1% each. The BSE Sensex is now trading above the 14400 mark while the NSE Nifty above the 4250 mark. The BSE Sensex is trading up by 79.77 points at 14,425.39 and the NSE Nifty is trading higher by 23.40 points or (0.55%) at 4,265.25. The BSE Mid Cap increased by 59.21 points or (1.17%) to 5,109.11 and the BSE Small Cap grew by 51.32 points or (0.90%) to 5,744.34. The Overall market breadth is positive as 1139 stocks are advancing while 429 stocks are declining and the 43 stocks remained unchanged on BSE. Singer India Limited has informed that the Board of Directors of the Company at its meeting held on June 22, 2009, inter alia, has allotted 8,27,900 equity shares of the face value of Rs 10 each to Singer (India) B.V. Netherlands against an amount of Rs 8,279,000 as per the order of the Honble BIFR. नई दिल्ली: बीएसएनएल ने मंगलवार को कहा कि आईपीओ के लिए सरकार के आदेश का इंतजार कर रहे है। कुलदीप गोयल, बीएसएनएल के सीएमडी ने कहा की, "हमें सरकार के निर्णय का इंतजार करना होगा। हमें एक बार सरकार की मंजूरी मिल जाए तब हम (कर्मचारी) यूनियनों के साथ बातचीत शुरू कर देंगे।"
New Delhi: BSNL on Tuesday said that it is awaiting the government's nod for its IPO. Kuldeep Goyal, CMD of BSNL, said "We will have to await the decision of the government. We will start negotiating with (employee) unions once we get the government's approval". BSNL had proposed a dilution of 10 per cent of the government's equity holding through an IPO and the IPO is expected to raise $10 billion. However, due to the opposition from the employees, the offering was put off. The IPO proposal was submitted a year ago. Besides this, the BSNL board has given a green signal for acquisition in Africa. We have a cash balance of Rs 30,000 crore plus, Goyal said. Meanwhile, BSNL announced that Swedish firm Ericsson has qualified for supplying GSM equipment to northern and eastern parts of the country for 43 million lines over the next 3-4 years. 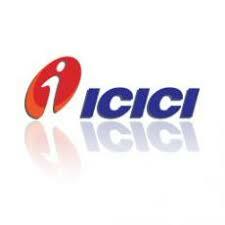 ICICI Prudential Mutual Fund has launched ICICI Prudential Fixed Maturity Plan-Series 49-One Year Plan A. It is a close ended debt fund and the face value of the new fund is Rs 10 per unit. The new fund offer period (NFO) for subscription will be from 25 June to 29 June 2009. The investment objective of the plan is to generate regular returns by investing in a portfolio of fixed income securities/debt instruments which mature on or before the date of maturity of the plan/scheme. At present, there are three options available under each plan of the scheme i.e. institutional option-I, institutional option and retail option. Dividend option further offers dividend payout and dividend re-investment facilities. Tech Mahindra, the new owner of Satyam Computer, plans to raise funds by selling shares of 1.36 crore to the institutional investors. The company''s board of directors at its meeting held on Monday approved the issue of upto 1.36 crore shares by way of private placement or Qualified Institutional Placement (QIP) basis, Tech Mahindra said in a filing to the Bombay Stock Exchange. However, the company did not disclose the amount it plans to raise through this share sale and at what price the shares would be allotted. The inter-bank call rate closed flat at 3.25-3.30 per cent. There were no bids in the one-day repo auction under the first liquidity adjustment facility (LAF). 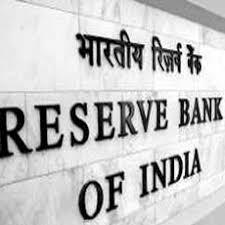 However, in the reverse repo auction, the Reserve Bank of India (RBI) received and accepted 53 bids for Rs 1,27,180 crore. Matrix Laboratories Limited has informed that the Board of Directors of the Company, by circulation, have allotted 17,25,170 Equity Shares of Rs 2/- each to Matrix ESOP Trust under ESOP Schemes. Consequent to the above allotment, the paid-up equity share capital of the Company has increased to Rs 31,26,77,622/-. UTI Mutual Fund has announced dividend under dividend option of UTI Fixed Term Income Fund – Series V- VI (13 months). The record date for the declaration of dividend is 30 June 2009. The quantum of dividend will be 100% of distributable surplus available on the record date on face value of Rs 10 per unit. The NAV of retail plan of the scheme was at Rs 10.2461 per unit as on 22 June 2009. UTI Fixed Term Income Fund is a close ended income scheme with the plan tenure of 13 months. The investment objective of the scheme is to generate regular returns by investing in a portfolio of fixed income securities normally maturing in line with the maturity period of the plan. The markets opened higher today in line with the Asian markets. The buying interest is seen among the Capital Goods, Realty, Pharma and Metal stocks. However, Banking, IT and FMCG stocks are witnessing some selling pressure in the early trade. The broader market indices are however trading higher with both the BSE Mid Cap and he Small Cap index are now trading with a gain of more than 0.5% each. 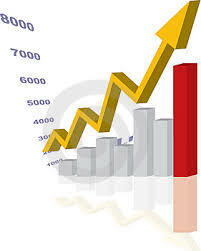 The BSE Sensex is now trading above the 14300 mark while the NSE Nifty around the 4250 mark. The BSE Sensex is trading slightly up by 0.32 points at 14,324.33 and the NSE Nifty is trading marginally higher by 1.15 points or (0.03%) at 4,248.15. The BSE Mid Cap increased by 37 points or (0.75%) to 4,979.34 and the BSE Small Cap grew by 50.96 points or (0.91%) to 5,643.36. The Overall market breadth is positive as 1025 stocks are advancing while 476 stocks are declining and the 41 stocks remained unchanged on BSE. Sunflag Iron & Steel Company Ltd has informed that the Board of Directors of the Company at its meeting held on June 23, 2009, inter alia, has considered and recommended a Final Dividend @ 5.00% on the Equity Shares (Rs 0.50 Per Equity Share) of the Company for the financial year 2008-2009, subject to approval of Members at the Annual General Meeting. Further, the Board of Directors has also considered and approved CA Jayesh Madhavji Parmar as an Independent, Non-Executive Director of the Company effective from June 23, 2009. Reliance Mutual Fund has declared dividend under the dividend option of Reliance Interval Fund - Monthly Interval Fund -Series II. The record date for the dividend distribution is June 26, 2009. The fund house has decided to offer dividend on the face value of Rs 10 per unit for both plans viz. retail and institutional plans. The quantum of dividend will be 100% of distributable surplus as on the record date. The NAV for the scheme under retail plan was Rs 10.0411 per unit while under institutional plan was Rs 10.0342 per unit as on June 18, 2009. Reliance Interval Fund-Monthly Interval Fund, is a debt oriented interval scheme with an investment objective to seek to generate regular returns as well as growth of capital by investing in a diversified portfolio of Central and state government securities and other fixed income/debt securities normally maturing in line with the time profile of the plan with the objective of limiting interest rate volatility. The markets opened sharply lower today extending losses from the previous session amid weak cues from the global markets. But suddenly the markets managed to recover from the early lows and turned volatile ahead of the expiry of the derivatives contracts later this week. All the secrtorial indices are trading in red in the opening trade barring the Oil & Gas index. The Metal index got the worst hit in the early trade as it now trading with a cut of more than 3%. The broader market indices are also witnessing selling pressure as both the BSE Mid Cap and he Small Cap index are now trading with a loss of more than 1.5% each. The BSE Sensex is now trading below the 14150 mark while the NSE Nifty below the 4200 mark. The BSE Sensex is trading down by 207.10 points or (1.45%) at 14,119.12 and the NSE Nifty is trading lower by 46.35 points or (1.09%) at 4,188.90. The BSE Mid Cap decreased by 87.04 points or (1.77%) to 4,843.47 and the BSE Small Cap fell by 109.88 points or (1.96%) to 5,489.69. The Overall market breadth is negative as 365 stocks are advancing while 1194 stocks are declining and the 38 stocks remained unchanged on BSE.